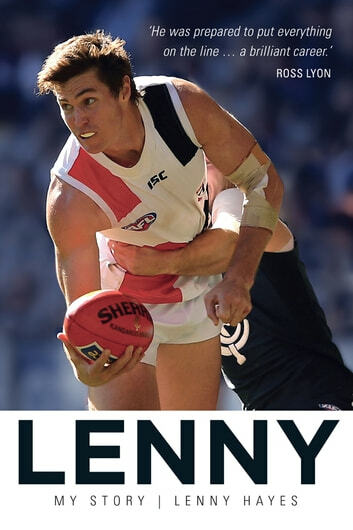 Lenny Hayes grew up in Sydney, where he discovered his love for AFL playing for the Pennant Hills Demons. It was here he caught the eye of talent scouts for TAC Cup side the NSW/ACT Rams, with whom he won the 1998 Morrish Medal as the TAC Cup’s best and fairest player. 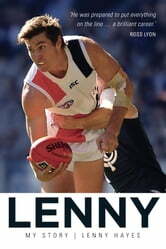 Lenny went on to be picked by St Kilda at No.11 in the 1999 national draft. He made his senior debut against North Melbourne at the SCG in round five of the 1999 season and played regularly for the Saints in his early years as he made the transition from half-forward flanker to onballer. In that role he quickly earned respect for the hard-nosed approach and tireless work ethic that saw him win the first of three Trevor Barker Medals in 2003. Hayes was named in the All-Australian side the same year and went on to earn that honour again in 2005 and 2009. Lenny Hayes captained the Saints in 2004 when the club won the pre-season premiership, then co-captained the team in 2007 with good friends Nick Riewoldt and Luke Ball. Hayes was awarded the Norm Smith Medal for his outstanding performance in the 2010 drawn grand final against Collingwood.